Welcome! As a people formed in the Roman Catholic tradition, called together by Christ, we seek to grow in faith, hope and love. We gather to be fed and healed by Word and Sacrament, which strengthens us to build Christ's Kingdom on earth and sustains us on our pilgrim way to heaven. Through our call to evangelize we invite all to join us on our journey of faith as we serve, teach, proclaim and give witness to the Gospel of Jesus. 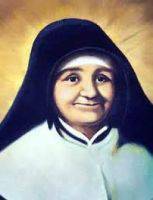 In the words of our patroness, St. Julie Billiart, "May Jesus live in all our hearts." Important Announcements & Links... Can't find what you are looking for? Try scrolling down to the "Quick Links" section. URGENT: The Bishops' Statement Against Abortion Legislation in Massachusetts. It is my sincere pleasure to welcome you to the St. Julie Billiart Parish Website. I’m glad you have taken the time to visit us today on the web and I hope that our parish and its schedules/ministries will meet your spiritual needs. St. Julie’s is a parish of 2700 families from the Dartmouth and New Bedford area. We strive to be a welcoming and encouraging community in the Roman Catholic tradition. Your presence and participation will only add to the wonderful family of faith that makes St. Julie’s an outstanding parish. If I can answer any questions or be of service in any way, please contact me by e-mail at frroy@saintjulies.org or by phone at 508-993-2351 choose option #3. St. Julie’s Parish provides adults with several opportunities through which they can connect or reconnect with the Catholic Faith. To find out if one of our parish programs, designed with the adult in mind, is right for you contact our Pastoral Associate. Designate St. Julie Billiart Parish when you shop. Follow the development of plans to celebrate our 50th by clicking above. Updated to include the banquet and Anniversary Mass dates.